If you’ll humor me a moment, could you think about the last online purchase you made and where it was? For me, it’s easy — the answer is almost always Amazon 🙂 — but you may have to think a moment. You can even close your eyes if it helps! Now that you have it in your mind: when you made that purchase, what made you decide to buy the particular product you bought? Hold that thought. I’ll tell you a bit about my most recent purchase. I’m not sure how this is going to make me look, but I’ll go for it. I bought a cocktail muddler. Long story short, I had an awesome spiked lemonade with muddled strawberries at a restaurant and I wanted to try to make it, and I’d been meaning to get one anyway to make Caipirinha. So I went on Amazon, where I have a system for purchasing. I search for the product I want, and then I filter by products have Prime shipping. Then I do one more thing, and you may be able to guess what it is: I filter by rating and I read reviews. I know, I know. For a $10 purchase? Really? Yes. I can’t even help myself. I want to make sure I’m getting the best value I can, even if it’s for a silly muddler. You see, I didn’t buy the cheapest one. I bought one that had a competitive price but had the best reviews. Yep, product reviews are important. They’re a huge factor in purchasing decisions, and your customers look for them and read them. That’s why our newest plugin pumps up your product reviews to make them as versatile and useful as possible — today we’re introducing WooCommerce Product Reviews Pro. Basic WooCommerce reviews will allow ratings, content for the review, and can optionally show ‘verified’ reviews (or limit reviews to only verified purchases). However, take a look at what the bigger eCommerce sites do with reviews: filter by review rating, add qualifier questions such as information on size and fit, allow commenting and questioning, include customer-generated content, and show review breakdowns instead of just average star rating. 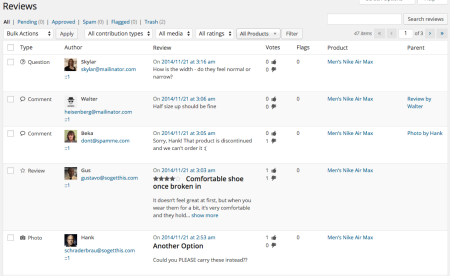 Product Reviews Pro brings these capabilities to your WooCommerce shop. First, you can accept multiple kinds of contributions. Not all reviews have to include star ratings, so we’ve built in the ability to accept video and photo submissions (which you can enable or disable). These can also be attached to a review with a rating to provide a complete, detailed review. Next, we’ve added review qualifiers. Add as many questions as you need to gather more information about your products, and display that information to other customers. These can be questions about fit, packaging, comfort, size, or other product attributes. 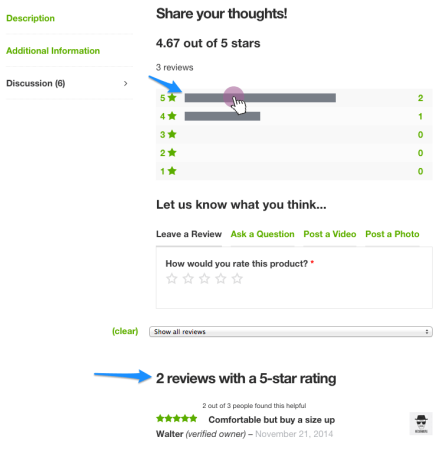 Customers can also use your reviews tab as a discussion tab — allow them to ask questions about your products, which you can answer or others can chime in on via comments. Your customers can use star ratings or review qualifiers to filter reviews. 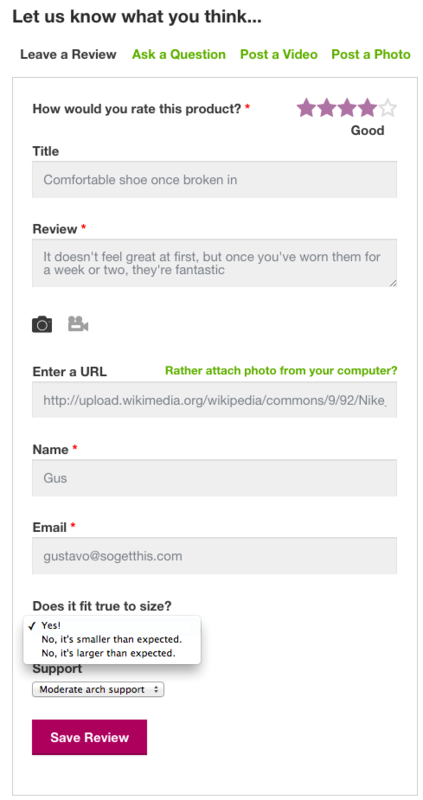 This lets them find the information they’re looking for easily, and they can also filter by the contribution type (photos, questions, reviews, or videos). We’ve also made review management easier for you. 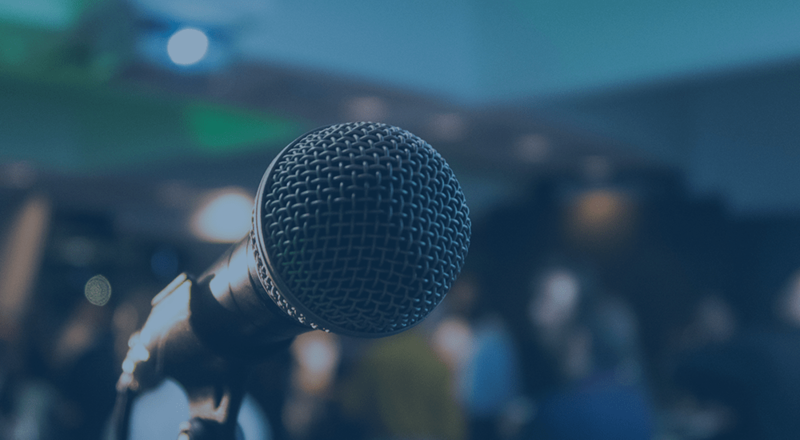 Reviews are no longer hidden away and mixed in with your blog comments — see a list of all reviews under a new WooCommerce menu, where you can approve reviews and moderate content. 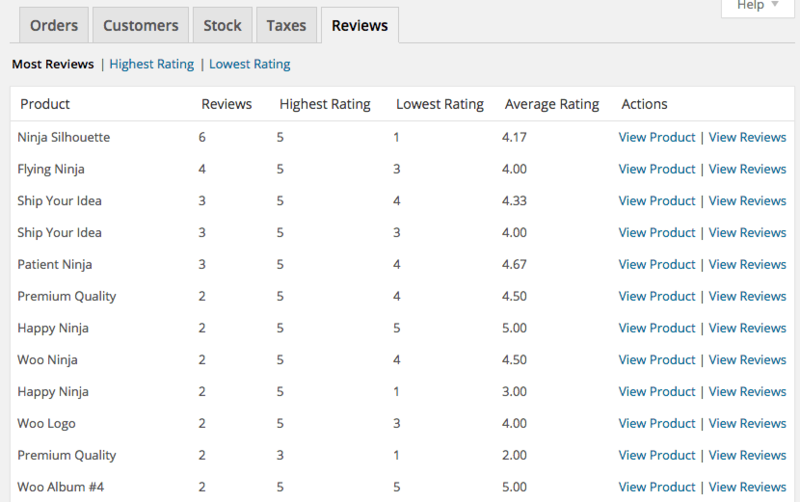 You can also gain insight into your customers’ favorite and least favorite products, as a new Reviews report will be added to display highest and lowest rated products. Finally, we’ve included an idea of karma. As customers typically want to see most helpful reviews, your logged in customers can now upvote or downvote reviews to mark them as helpful or unhelpful. Contributions can also be flagged for removal if they’re inappropriate so that you or a shop employee can review. We’re really excited for the possibilities that Product Reviews Pro unlocks, and we know it will be a great tool for both you and your customers. It works well with almost any WooCommerce theme, and Storefront even includes specific styles just for Product Reviews Pro. Ready to keep reading? Check out the sales page or documentation here. I hope you will also encode the WooCommerce Waitlist PRO plugin. Because current Woothemes waitlist plugin really inadequate. 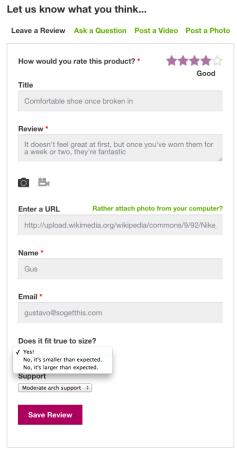 This seems to fill a need for a solid WP review plugin that has rich snippets. I love many of the features, including the upvoting. Anyways, I was looking up the documentation and had the thought that the question qualifiers might be overkill for the end user. If the shop owner keeps it simple, it should be ok. I am also looking at Yotpo and like the email integration that they have to help get reviews. What would you recommend to tie into WooCommerce Product Reviews Pro to help get more product reviews? Hey Darren, we typically recommend no more than 2 qualifiers, as indeed reviews can otherwise get overwhelming. As for getting more reviews, Follow Up Emails is great for sending an automated email to request a review — here’s a tutorial on doing so. Just bought the plugin over on WooCommerce site and I like it so far. Problem is, I really thought you could upvote reviews without having to log in. Requiring users to be logged in just to upvote on review is unlike most estores out there (Amazon, Apple, etc..) and is counter intuitive. Is there any ways to require loging in to leave a review but allow any visitor to upvote? (can’t find it in the documentation if there is). Hey Olivier, I’m afraid there’s no way to allow anonymous voting. There’s not really a reliable way to track votes without a user account, so allowing anonymous voting opens your site up for spam votes, which can affect the way your reviews are sorted (otherwise we’d have to use a cookie, which can just be cleared and then the user can re-vote over and over). We followed Amazon’s example in this, as Amazon does not let you vote on helpfulness without being signed in to avoid this kind of review spamming. Sorry I don’t have better news here! Oh no! Spam fighting is never fun. You can definitely hold all contributions for moderation via the plugin settings, or the plugin will respect your existing WordPress comment rules if you hold them. Would it be possible to add a 5-star rating to the review qualifiers and also have the average rating include those ratings as part of the calculation? How would one start applying this? Also, can we add the review qualifiers globally to all products rather than having to add them one by? I think you could probably do this by overriding the qualifier template to use radios instead of a select, then use some JS to change the options (presumably 1-5) into stars. also have the average rating include those ratings as part of the calculation? Probably not straightforward. 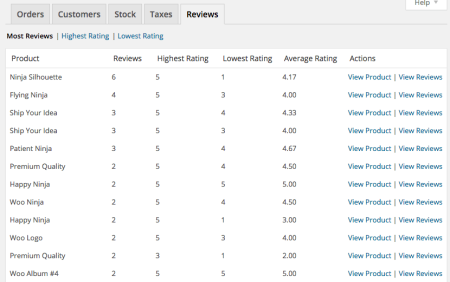 The plugin uses the WC core $product->get_rating_count() method (not filterable) to get the overall rating, which grabs the post meta for _wc_rating_count. You would have to modify this post meta using your data from review qualifiers I’d imagine, but haven’t really looked into this fully myself. Is plugin compatible with the popular “Review for Discount” plugin? Also, is there a method to limit number of reviews to say 5, with a “view more reviews” button or link? So, if there are 200 reviews, they don’t all open at once. As for limiting the review display and then loading the rest of them on click, this is isn’t something Product Reviews Pro will do itself. 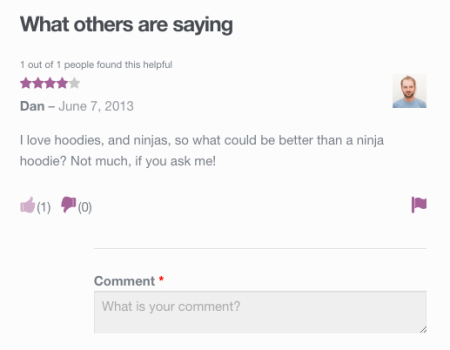 You could definitely do it with the help of a developer to customize the reviews list. I’ll add this to our idea board to start gauging interest in this sort of thing as well. Hi, I’ve just got Product Review Pro. I wondered about the logic of the video and image attachments. I have turned off video and image submission but you can still add them via a standard review. Personally I don’t want any video or image uploads but cannot see any way to stop this albeit hacking it with some CSS to hide the section. Any thoughts? Yep, there’s a filter to remove this field, here’s a snippet that shows you how to use it. Many thanks Beka, which file do I drop that in to? Thank you Beka, that works a treat. I have another idea. I only want people who purchase a product (verified owners) to have access to the rating system. I found you can add a new customer account through the rating system by commenting on a review. I have found and removed the code that allows this but wondered if you have one of these filters to stop it? I only want people who purchase a product (verified owners) to have access to the rating system. the core setting for only allowing verified reviews should handle this for you. Hmm can’t replicate this one — could you submit a ticket in the Woo help desk so we can have a look? I’m not experiencing this in my dev store so we’d need a further look (you can reply with the ticket number).